Below you fill find all funeral homes and cemeteries in or near Avon Lake. Avon Lake is also known as: Lorain County / Avon Lake city. Their current mayor is Mayor Marty O'Donnell. Zip codes in the city: 44012. Some of the notable people born here have been: Ben Tate (actor). Avon Lake is a city in Lorain County, Ohio, United States. The population was 22,581 at the 2010 census.Avon Lake was first settled in the 1600s and was, along with Avon, Bay Village, and Westlake, inhabited by Wyandots, Eries, Ottawas, etc. These people settled, traded, fought, made peace, and later moved elsewhere. Avon Lake, Avon, Bay Village, and Westlake were all one territory.This place has been so far a part of three nations. Sometime prior to 1765, this territory was part of France. In 1765, the French were driven out by the English. And ten years later, in 1775, the English were forced out by the colonists. During the Revolutionary War, a direct trail from the east to the west crossed the lake shore through what now includes Avon Lake. This trail is where Lake Road is today. It was used by the British more than by the colonists.After a series of treaties, the area was purchased by the Connecticut Land Company in 1795 as the Western Reserve. Pierpont Eas formed, and the following settlers called the territory of present day Avon Lake, Avon, Bay Village, and Westlake by a Native American term which means "those who came before us", "Xeuma". French and English colonial forces did the same things here as the Natives.Noah Davis, the first lakeshore dweller, arrived in 1812 and lived in a three-sided cabin near the present-day intersection of Lake and Moore Roads for about a year. Wilbur Cahoon, owner of the land, encounted Davis and moved farther south (on Davis' advice) in the French Creek precinct where it was not as marshy but more fitting for farming, in 1814.In 1818, Cuyahoga County drew new boundaries, splitting Xeuma into two. The west part was Troy Township and the east part was Dover Township. Adam Miller and his family arrived in the following year, and the family has been here ever since. The Millers and others who followed mostly cleared land, sawed timber, and built ships in nearby Black River (eventually renamed Lorain), however Avon Lake's shorelines also had a number of sawmills and shipyards.In 1822, Lorain County was formed. Troy Township was renamed "Avon Township" by petition in 1824.European seamen first settled this place in the year 1812, and was originally part of the AvonTownship, and also part of Cuyahoga County. 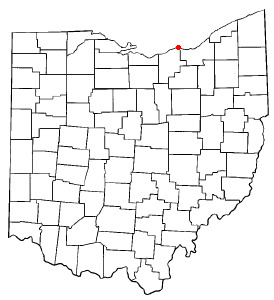 Then in 1822, it became part of Lorain County. Thenin 1915, this part of Avon was separated from the rest of the Township of Avon to form theTownship of Avon Lake. In 1960, Avon Lake was granted the status of a city. It was revealed on December 20th, 2017 that Diane miss Scarpelli passed away in Avon Lake, Ohio. Scarpelli was 59 years old. Send flowers to express your sympathy and honor Diane miss's life. It was revealed on December 12th, 2017 that Darlene N Nix (Rickard) perished in Avon Lake, Ohio. Ms. Nix was 69 years old and was born in Blandburg, PA. Send flowers to express your sympathy and honor Darlene N's life. It was noted on December 6th, 2017 that Alvin M Buckeye passed away in Avon Lake, Ohio. Buckeye was 89 years old. Send flowers to express your sorrow and honor Alvin M's life. It was disclosed on December 6th, 2017 that Ellen L Gulling (Lamp) passed away in Avon Lake, Ohio. Ms. Gulling was 92 years old. Send flowers to express your sorrow and honor Ellen L's life. It was revealed on December 4th, 2017 that Anne Pribanic (Bentley) died in Avon Lake, Ohio. Ms. Pribanic was 92 years old. Send flowers to express your sorrow and honor Anne's life. It was disclosed on November 26th, 2017 that Gregory Beck perished in Avon Lake, Ohio. Beck was 88 years old. Send flowers to share your condolences and honor Gregory's life. It was disclosed on November 5th, 2017 that Thomas P Beal perished in Avon Lake, Ohio. Beal was 83 years old. Send flowers to express your sorrow and honor Thomas P's life. It was reported on November 1st, 2017 that Benjamin H Jr Mitchell passed on in Avon Lake, Ohio. Mitchell was 76 years old. Send flowers to share your condolences and honor Benjamin H Jr's life. It was noted on October 28th, 2017 that Charles F Lawson passed away in Avon Lake, Ohio. Lawson was 89 years old. Send flowers to share your condolences and honor Charles F's life. It was written on October 22nd, 2017 that Joan L miss Hudak perished in Avon Lake, Ohio. Hudak was 80 years old. Send flowers to share your condolences and honor Joan L miss's life. The population was 18,145 at the United States Census, 2000 census. Avon Lake is a city in Lorain County, Ohio County, Ohio, United States. . . . The official website for the city of Avon Lake is https://www.avonlake.org/. Avon Lake Ohio Flowers Sissons Flowers of Avon Lake OH is a REAL FLORIST serving Avon Lake with the Finest in Fresh Flowers and Gift baskets for Worldwide Delivery. Listing all funeral homes in Avon Lake, Ohio so you can easily send flowers to any location (same day delivery) or find any funeral service. funerals in Avon Lake, OH 44012 on Yahoo! Local Get Ratings & Reviews on funerals with Photos, Maps, Driving Directions and more. We work with local florists and flower shops to offer same day delivery. You will find budget sympathy flowers in Avon Lake here. Our funeral flowers are cheap in price but not in value.